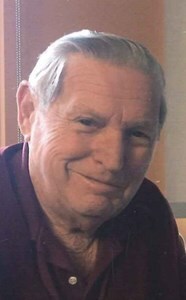 Newcomer Family Obituaries - William W. 'Bill' Gray 1930 - 2019 - Newcomer Cremations, Funerals & Receptions. William W. Gray, age 88, of Toledo, passed away February 1, 2019 at Advanced Health Care. He was born July 28, 1930 in Sylvania, OH to Glen and Mildred (McGlenn) Gray. Bill served his country in the U.S. Army during the Korean War. He owned and operated William Gray Lawn Service for more than 20 years. Bill was an avid Detroit Tiger and Lions fan and enjoyed golfing. Bill is survived by his wife of 64 years, Sue Ann Gray; daughter, Lynne (Brian) Haney; grandchildren, Keith (Andrea) Haney, Kelly (Jason) Murphy and Abigail Gerney; great-grandchildren, Madison, Ava and Mason Murphy, Charley and Bailey Haney; and brother, Jake Gray. In addition to his parents, Bill was preceded in death by his daughter, Laurie Gerney and 15 siblings. The family will receive guests Tuesday, February 5, 2019 from 4:00 p.m. - 8:00 p.m. at Newcomer - SW Chapel, 4752 Heatherdowns Blvd. (419-381-1900). Funeral Services will begin Wednesday at 11:00 a.m. at the funeral home. Burial will follow at Whiteford Union Cemetery. To leave a special message for Bill's family, please click on the share memories tab above. Add your memories to the guest book of William Gray. My heart was saddened to learn of Bill's passing. My mind immediately went to First English Church and the amazing times we had there together. Bill was such an amazing man. He was never without a smile or a kind word and was eager to help anyone in need. I LOVED watching the way he looked at Sue.....complete love and adoration in his eyes. Such an amazing couple. They both were an inspiration to all of us at First English. I know you will be missed Bill. You were an amazing friend to Rick and he always looked up to you and your opinion. It comforts me at this time that Bill is reunited with his amazing, beautiful daughter, Laurie, who I was fortunate enough to call my friend. I know Bill joins Laurie and Rick and are reminiscing about the "good ole' days" and all the fun we had together. I also know that Bill will stay close to his family and watch over them. I send my love and a big hug to you all. Please know you are all in my thoughts and prayers.